Your dream property awaits! This one of a kind 26.22 +/- acre property is a short 3 miles from Costco! Featuring breathtaking 10 mountain views, large 4 bay covered barn with attached enclosed and insulated shop that is wired for power. 2 large 30 x 70 green houses. CUP is good until Jan. 2022. The home site is 1.7 +/- acres and has Avion water and underground power ready for hook-up at the site. Septic feasibility approved for standard system with permit paid for that is good until Aug. 2019. 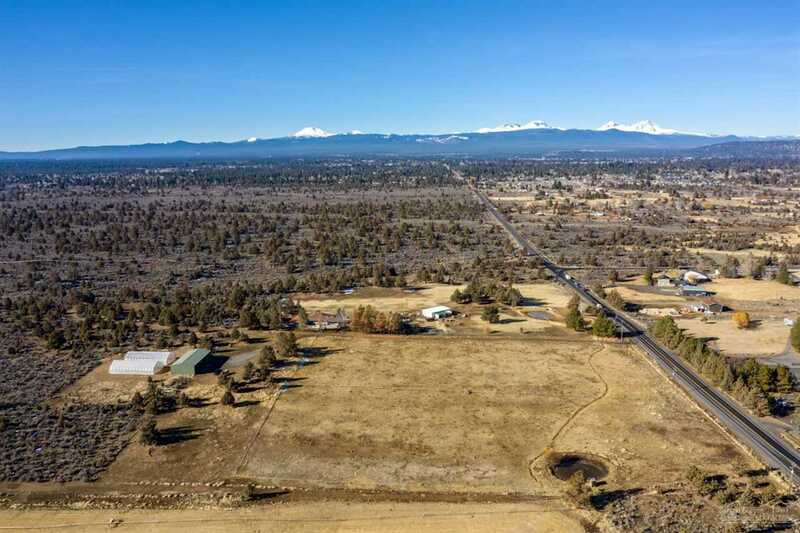 7.53 acres of Arnold irrigation with fenced pasture. Irrigation pump, wheel lines and all irrigation equipment included. This is a must see property! Don't let this rare opportunity to own acreage close to town pass you by! I was searching for a Property and found this listing (MLS #201900662). I would like to schedule a showing for 61545 Ward Road Bend, OR 97702. Thank you! I was searching for a Property and found this listing (MLS #201900662). Please send me more information regarding 61545 Ward Road Bend, OR 97702. Thank you!